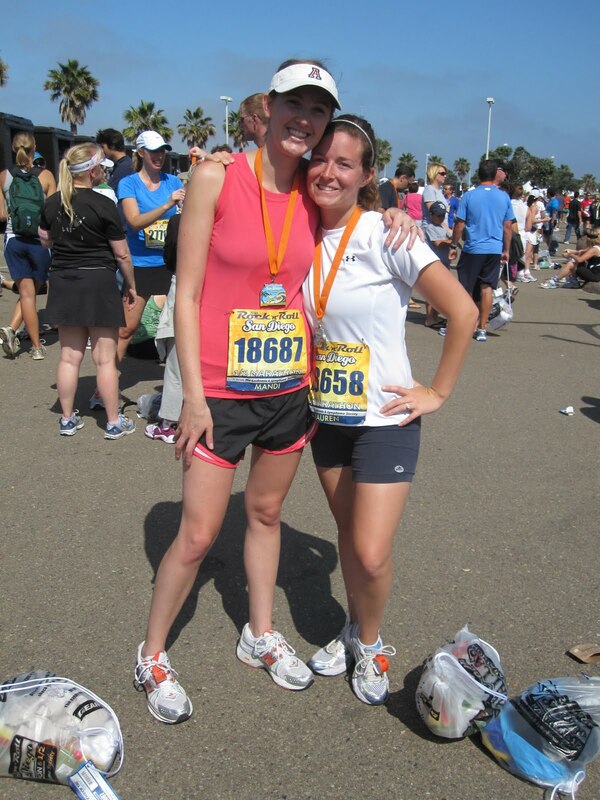 After running my Half Marathon I wasn’t sure if I would have the energy to ever run again! I was wrong, thankfully because I have really started to love running. My running journey started in the beginning of this year. A friend of Ked’s mentioned the Pat Tillman run, which is a 4.2 mile run that ends in the ASU stadium on the 42 yard line. I thought to myself… “Wow 4.2 miles, that is far but manageable… I can do that!” So I went online and printed out a how to start running guide. Run for one minute, walk for two for 30 minutes… okay I can definitely start there. So I put on an old pair of Nikes that I had bought in Tucson when I started going to the gym back in 2005 (I went just a handful of times so they were basically new). I started off walking for 2 minutes, then I started running… those next 30 minutes may have been the longest minutes of my life. I seriously thought that I would not be able to do 4.2 miles in a couple of months. So a week or two go by of my sporadic 30 minute off and on runs, I tell no one of my experience but I am able to stop timing myself and just go out and run around the block, stopping quite a bit to catch my breath of course. So Lo prints out a 1/2 Marathon training program and I start. It was a 12 week training program and I had about 16 weeks before the event so I decided to just repeat the first week for a month. That I did, I was a training bee, working 6 days a week. I loved having the busy schedule, the pain from the longer runs and before I knew it my foot started hurting during week 6 & 7 of 12. I stopped running completely and went to the doctor. If you know anything about injuries you know if something hurts there is a reason and you need to get it looked at asap, just in case! Thankfully it was nothing big, just tendonitis (the pain with no swelling) from not strengthening and stretching it enough. So with a week off I started right back where I left off roaring to go but a little nervous about taking a week off so close to the race. I believe I can do anything I put my mind to. PS. 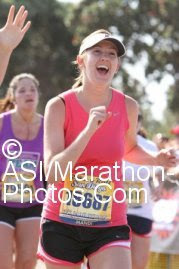 I did not end up doing the Pat Tillman Run, I will next year though! That is such an inspirational post. I really want to start running. I need to print out a running guide.Maybe I can run the Pat Tillman with you next year! You rock, lady! P.S. Can I share this post on my blog? I love how spirited you are! So inspiring. Powered by inkzine Theme. © 2019 Triathlon, Coffee, Cats and Travel. All Rights Reserved.